5-Acid blended peel with glutathione, vitamins and minerals. In-office chemical peel procedures performed by medically trained professionals. This is a prescription only peel performed by Dr Natasha. The Perfect Peel™ is a 5-Acid blended peel with Glutathione, Vitamins and Minerals. This treatment chemical peel procedures performed by medically trained professionals like Dr Natasha. The Perfect Peel™ is a revolutionary peel that will transform your skin into looking younger, healthier and clearer in just ONE week. The perfect peel treatment can be used on all skin types and requires no Pre-peel preparation. The Perfect Peel™ combines intense ingredients with effective acids to deliver outstanding results. This unique formula allows for an increase in the lifting of fine lines and wrinkles as well as lightening of Melasma, sun damage and Hyperpigmentation. A non-invasive relatively pain free treatment that entails usually 5-7 days of peeling. The Perfect Peel™ is a truly unmatched product on today’s market. Glutathione is a very simple molecule that is produced naturally all the time in our bodies. It is made from glycine, glutamic acid and cysteine and is extremely beneficial to us. Glutathione protects the cells in our body from harmful toxins. It works by clearing the body of free radicals and toxins that can lead to skin problems like hyperpigmentation and melasma, as well as more common concerns like sun or age spots. The Perfect Peel™ can improve the overall tone and texture of your skin, lighten and brighten your skin, remove or reduce sun damage and age spots, reduce pore size and soften fine lines and wrinkles, reduce or eliminate hyperpigmentation and acne scars, improve acne skin conditions and melasma, stimulate the production of collagen resulting in firmer skin, slow down the ageing process and help prevent wrinkles. Will the treatment improve my acne and skin appearance? The Perfect Peel™ formula is designed to help all kinds of skin conditions. The treatment will certainly help minimise the damage and scarring done by acne. The Perfect Peel™ formula helps increase cellular turnover to improve acne scars. A series of treatments will certainly improve your acne scarring. The Perfect Peel™ treatment will help erase wrinkles and fine lines. It will also help to build collagen, which helps to tighten your skin. It will also help to reduce Hyper pigmentation and Melasma. but will be discussed at your consultation. Will The Perfect Peel burn my skin? There may be a slight tingling and stinging sensation which will disappear after just a few minutes. There will be some redness after the treatment, which is normal, and the skin may also be slightly swollen. Using skin products and moisturisers will help to keep the skin hydrated. Make-up can be applied 2-3 days post treatment. Your skin will be sensitive for around 7 days. Exposure to the sun should be avoided post treatment. What are the risks involved with the procedure? The treatment is not recommended for pregnant and breastfeeding women or anyone who suffers from any allergic reactions. Dr Natasha takes every precaution for a clean and safe procedure, only sterilised equipment is used for every procedure in a sanitised environment. Clients should follow our post procedure recommendations, and there should be minimal risks. No cosmetic procedure is without risk, but with Dr Natasha’s expertise the level of risk is minimal. The procedure may cause slight bruising, tenderness, and swelling. These will only last a few days. It is important that the client understands that there are minimal risks involved with the procedure. An individual’s choice to undergo a procedure is based on the comparison of the risk to the benefit. and bruising should only last for a few days. Depending on your skin type, this should be minimal. Can The Perfect Peel be applied to other parts of the body other than the face? The face, neck, chest and hands are the most commonly applied areas. The Perfect Peel™ can be applied to other areas of the body, but the process and the results will not always be the same. This can be discussed at your consultation. What are the benefits of having The Perfect Peel™ ? How many treatments are necessary for a visible improvement? After just one Perfect Peel™ your skin and complexion will appear much smoother, fresh and glowing. It is recommended that 2-3 treatments, once a month will show a major skin improvement. A course of 2 or 3 treatments is recommended for optimal results 4-6 weeks apart. Dr Natasha recommends a Perfect Peel™ every 6 months, and the client to maintain their usual skincare program. How does The Perfect Peel compare to other skin peels? The Perfect Peel combines intense ingredients with effective acids to deliver outstanding results after just one treatment. This unique formula allows for an increase in lifting of fine lines and wrinkles as well as a lightening of Melasma in the skin. If your skin is well maintained with good quality skin care products, the results will last. Dr Natasha would recommend two to three treatments per year to maintain your desired results. Redness and discomfort which is normal and usually only lasts for a few days only. Dr Natasha will discuss any side effects prior to your treatment, and the client will be asked to fill out a consent form on their medical history. If you have previously had any cold sores around the mouth, the treatment may bring on an outbreak. What is the Pre-procedure advice? Please let Dr Natasha know if you have previously suffered from facial cold sores. DO not use any shaving, peels, waxing, or aggressive exfoliations at least one week prior to the treatment. DO wait about a week to get a good idea of what your results will look like. What is the Post-procedure advice? The Perfect Peel ™ solution will remain on the skin immediately after the treatment. The skin may feel tighter and may appear slightly darker. Do not wash or touch the treated area for at least 8 hours or overnight for the best results. Do not apply any Make-up or Skin care products / Spray Tan / Direct sunlight, sun exposure and do not use tanning beds. Do not rub or pick the skin let the peeling process occur naturally. Do not use any facial products on the skin for at least 3 days after treatment. Avoid sweating, heavy exercise during the peeling process. I feel great. The treatment has restored my confidence and I can’t stop smiling! Let us know what treatments you're looking for, so we can provide you with the perfect aesthetic solution. 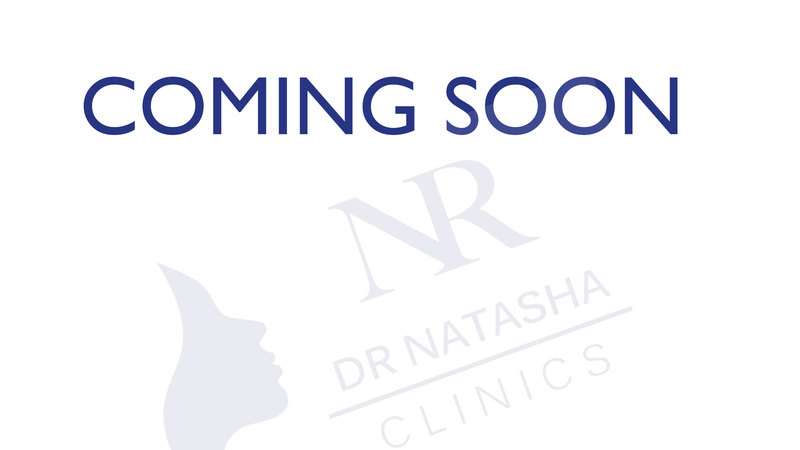 Dr Natasha Clinics will do our very best to help and advise you.